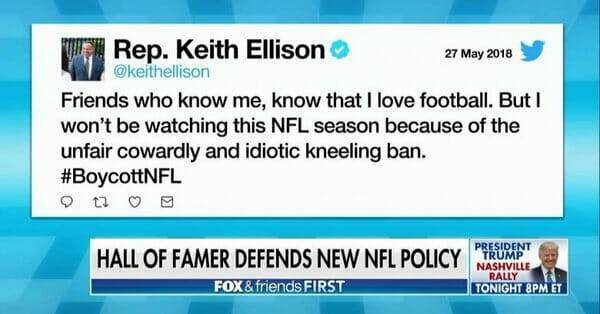 Rep. Keith Ellison (Dem-MN) tweeted out today that he will no longer be watching NFL games until players are allowed to disrespect the National Anthem, the US Flag and US veterans. 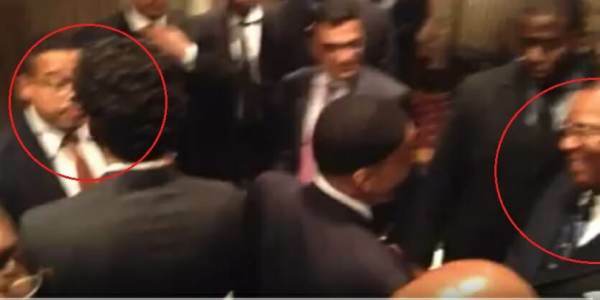 Ellison is the Deputy Chairman of the Democrat Party USA. This is the same lawmaker who once belonged to the Nation of Islam and who hangs out with Louis Farrakhan and Iranian leaders. It’s becoming more and more obvious these days that voting Democrat is voting for the enemy of America.